After creepy laughing episodes, should Alexa be a computer or a person? “Alexa’s recent case of the ‘Ha Ha Has’ underlines the uncanny valley between Amazon’s Alexa and any real human. It’s why Star Trek poked at the inabilities of the logic-based aliens known as Spock and Data to understand humor. Humor is an insanely complicated topic considered intrinsic to human evolution. It’s why knowing if to laugh and when to laugh, even with a close friend, can still be challenging at times for any of us! Services like Alexa and Siri work best when they emulate humans. We all know that virtual personas like Alexa, Siri, and the Google Assistant are not real humans. They can’t laugh the way we laugh, because they are not alive. But it does, in fact, makes sense for them to try to be social and emulate our behavior. They just need to get it right. Telling jokes, for example, is not an essential skill for an assistant like Alexa to have, but it will still cough one up if you ask. “We’re social beings—we should build machines that are social as well,” says Timo Baumann, a systems scientist in the language technologies institute at Carnegie Mellon University. He researches the interactions that occur between people and virtual assistants, and between people and other people. “Our research shows that it’s super important to try to build a relationship with a user,” he adds. Ideally, there should be a rapport there. At Carnegie Mellon, for example, Baumann tested a virtual agent—an animated one that participants could both speak with and see on a screen. Its job was to give movie recommendations, and there were two versions: one was programmed to be more social than the other. “They [the study participants] liked this more social system significantly more, and they liked the movie recommendations significantly more,” he says. That was true even though they hadn’t changed the part of the system that made the film suggestions—it’s just that the more social persona resulted in higher ratings. In fact, truly being social is different from telling a joke on command or laughing when asked, Baumann argues. Ideally, a virtual agent could do things like read the mood of the person with whom they are speaking, and adjust accordingly. That’s much harder to do than simply regurgitating a joke. But while those more advanced moves aren’t here, it still remains important that the assistants we do speak with interact with us in ways that create rapport. “The machine is trying to build trust,” he says. “Destroying trust is so much easier than building it.” On a simpler level, that’s what [is] happening when an assistant like Siri or Alexa responds to an inquiry correctly—or flubs it. 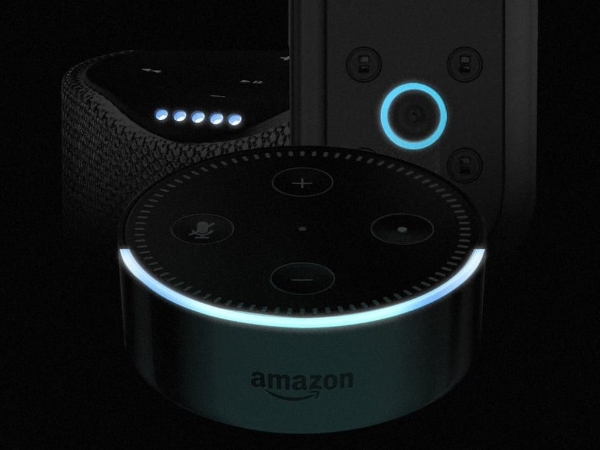 If you’re curious, the new laughter sound in this case is “teehee.” And while the fix doesn’t exactly mean Alexa is now suddenly perfectly social, at least it’s no longer being antisocial in this particular way. But if a virtual assistant could read your mood and maybe even laugh at the right time, the way a friend would, that might not be creepy. It might be friendly.